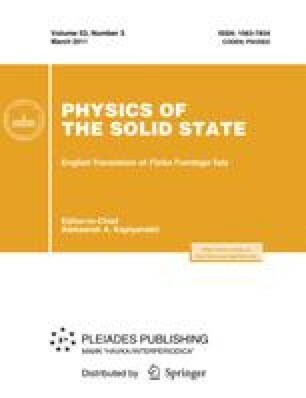 The calculated dependences for computing the energy and strength of the ideal adhesion for solids (metals, semiconductors, and dielectrics) have been obtained in terms of the dielectric formalism. The inclusion of the linear and quadratic dispersions of surface plasmons provides a good agreement of the calculated values with the available data. Original Russian Text © V.K. Nevolin, F.R. Fazylov, 2011, published in Fizika Tverdogo Tela, 2011, Vol. 53, No. 3, pp. 590–592.